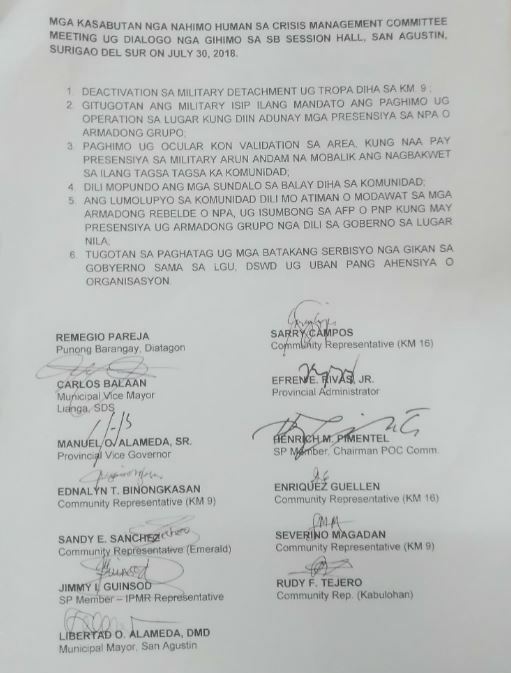 SAN AGUSTIN, Surigao del Sur – Police and local government officials here agreed in a meeting with Lumad leaders for the pullout of military detachment and troops in Lianga town after indigenous people residents evacuated their communities early this month. The military, however, refused to sign the document. 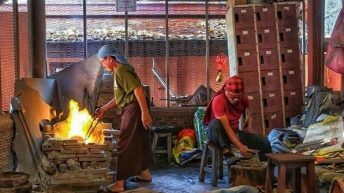 • Local government units and other agencies like the Department of Social Welfare and Development shall provide basic social services in the area. The agreement was signed by Surigao del Sur officials led by Vice Governor Manuel Alameda Sr., Philippine National Police, Diocese of Tandag and Lumad leaders. 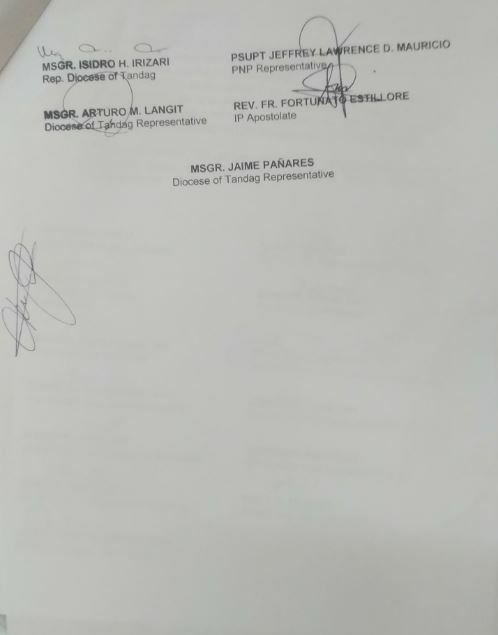 AFP officials led by Col. Maurito Licudine, deputy brigade commander of 401st PA, declined to sign the document since they were not authorized by their top officials. Col. Licudine refused to answer questions from the media. 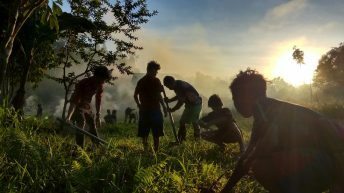 Surigao del Sur Vice Governor Manuel Alameda Jr., told Davao Today the military relied on an earlier barangay (village) resolution allowing them to put up a detachment at Sitio Km. 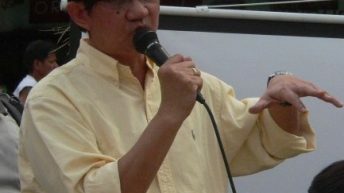 9, Simowao in Brgy. Diatagon. Alameda said the provincial government would request the Barangay council of Diatagon to pass a new resolution to revoke the previous one. 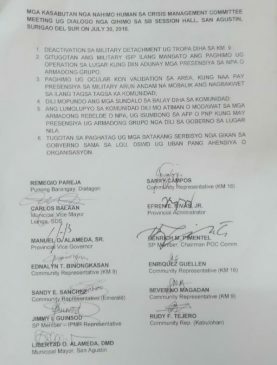 “The barangay resolution allowing the soldiers to put up a detachment a midnight resolution, penned by former barangay officials. 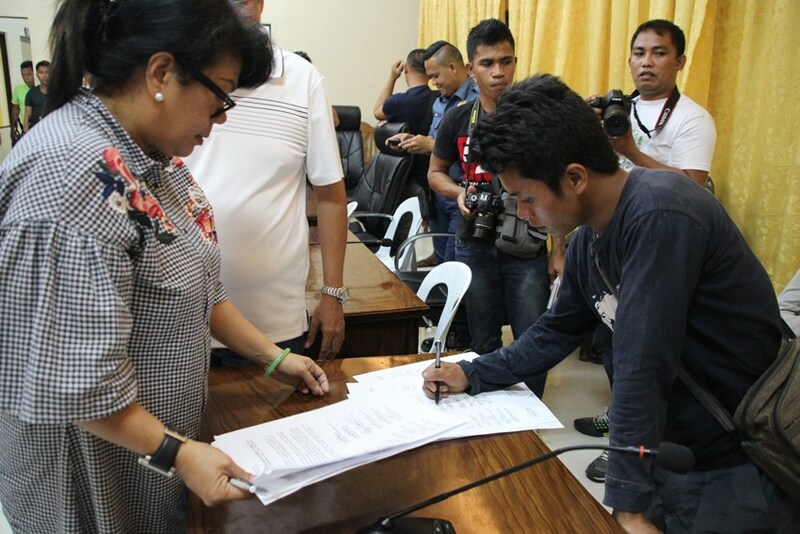 Most important thing for now is for the new set of barangay officials to make a new resolution,” said Alameda. 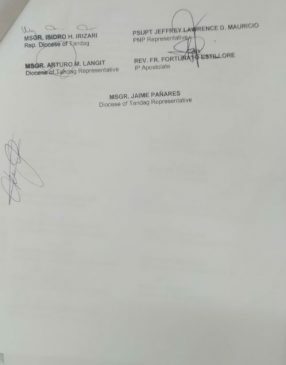 For his part, current Diatagon Barangay Captain Remegio Pareja told Davao Today that the military has asked for permission to set up a camp but clarified that the present nor the previous set of officials has not issued any resolution. “No resolution was passed by the former council. It was mandated by the President but we do not have a resolution asking them to put up a detachment,” said Pareja. Pareja added they are set to hold a session on August 6 to discuss and possibly pass a new resolution based on the agreement made by the Provincial Crisis Management Committee. 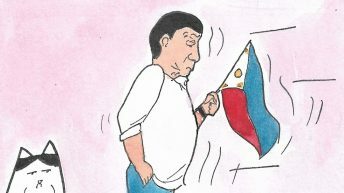 Sarry Campos, spokesperson of MAPASU or Malahutayong Pakigbisog Alang sa Sumusunod, said they were dismayed with the military’s refusal to sign the agreement. “Because they did not sign the agreement, we are worried because the military can go back anytime to put up a detachment in our community,” said Campos. On Tuesday, July 31, a group held an ocular visit to Sitio Km. 9 Simowao where the detachment was located and the nearby community of Km. 16 to validate the Army’s the Army’s order to pullout their troops, as part of the agreement. 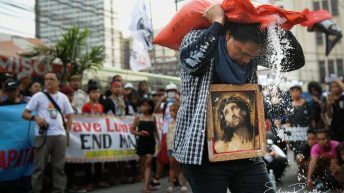 The group was composed of the Lumad leaders, religious groups, local government officials and delegates of the 2nd International Fact-Finding Mission and Solidarity Mission led by Gabriela Party list Rep. Arlene Brosas. 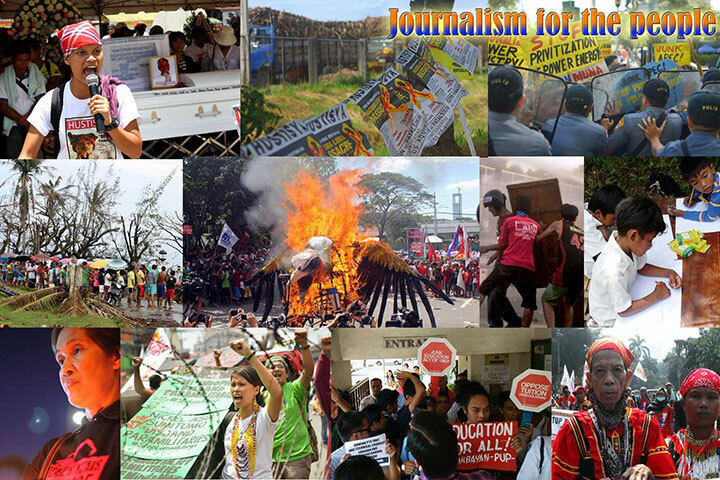 The mission set from July 30 to August 3 aims to document cases of human rights abuses in Mindanao. The detachment was already dismantled at the time of the visit. The mission participants found debris, some alcohol bottles and bullet shells. Gabriela solon Brosas said it is illegal to set up a detachment within a civilian community. Brosas added that residents reported cases of harassments and abuses by soldiers against women. “Nakatanggap tayo ng report na naghahanap ang mga sundalo ng bayarang babae. Nakakabahala po ito na gawi lalo pa na nadiskubre natin sa dating detachment na may mga bote ng alak at basyo ng bala doon,” said Brosas. MAPASU’s Campos said they would first conduct a consultation with the rest of the evacuees to come up with a decision regarding their return to the communities. The Lumad evacuees are staying at the Barangay Buhisan in San Agustin town as of press time. 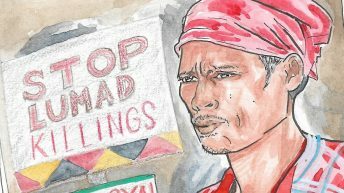 More than 1,600 Lumad evacuees took the national highway on Monday, July 30, in a bid to reach Tandag City, the capital of Surigao del Sur, as a protest against military encampment of their communities. 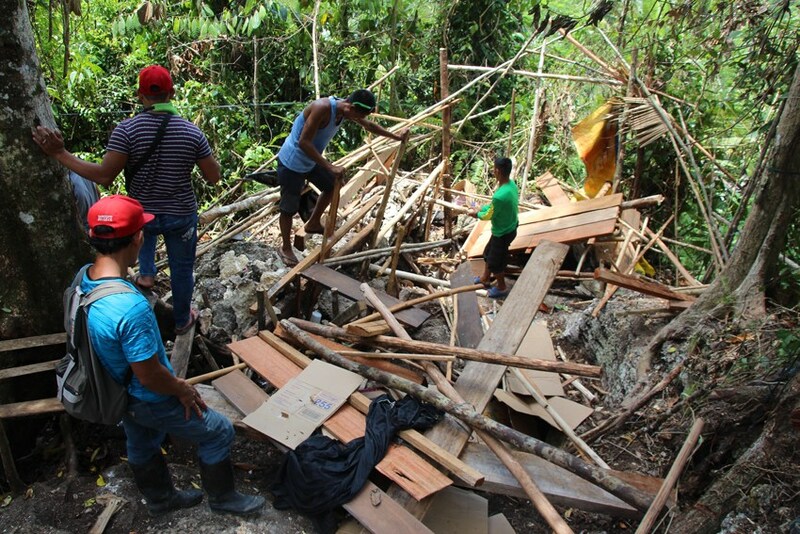 The Lumad evacuees previously sought refuge at the Barangay Diatagon Gymnasium in Lianga town from July 16 after soldiers set up a camp early last month.